Recently, news came out about the controversial research of He Jiankui, an associate professor at the Southern University of Science and Technology in Shenzen, China. At a genome summit, he came out with the surprising announcement that he had genetically engineered a pair of twins, who have been born, to lack the CCR5 gene. The CCR5 gene, he claims, is a gene which allows for HIV to infect human cells. This editing, according to Jiankui, was done to try and eliminate HIV from the human population, an infamous disease which ruins the immune system. This editing was done with CRISPR/CAS9 technology, which allows for specific genes (parts of a DNA strand) to be cut out and recombined. This is a relatively new technology, and the question of the ethics behind using it for genetic engineering has been an issue of debate for a long time. Cameron Slife, who teaches higher level biology related classes at Niles West, is familiar with the technology used to edit the genes of the twins. “I think it has tremendous potential. But what I’m concerned about, and what most ethicists and scientists are concerned about, is how safe it is in terms of its application. We need to understand whether or not the gene editing technologies are safe when we are [potentially] applying it to humans. 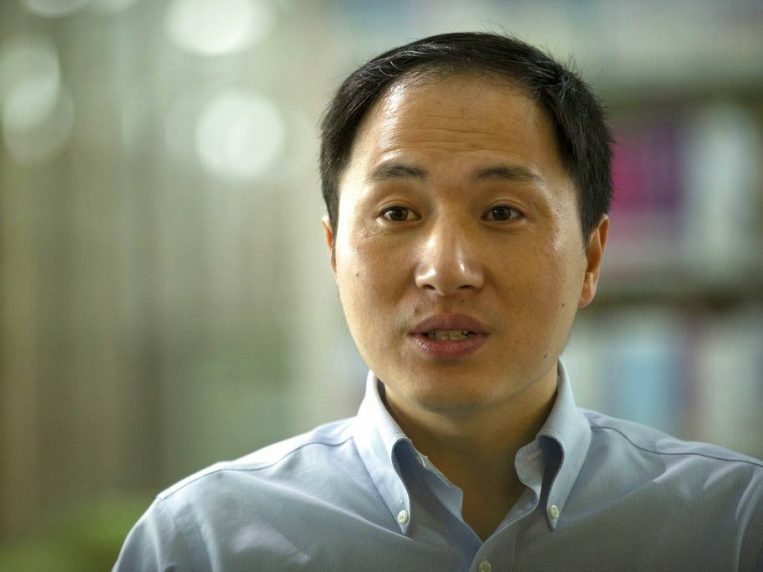 In terms of how gene editing should be used, I think that most scientists and ethicists would agree that for therapeutic reasons, so to treat genetic diseases,” Slife said. Slife however, has doubts about the true intention of the CCR5 gene. “But, what scientists pointed out is that that particular gene has also been shown to play a role in intelligence and in cognition and memory, so it’s possible that the real motive here was not to give these individuals innate immunity to HIV, especially when there are other ways in which you can prevent HIV infection, but rather it was being used to enhance the intelligence of the twins,” Slife said. This concern about the true motivation behind the gene editing is a serious one. It brings up the questions of what the limits of gene editing should be since it has tremendous potential in helping people, who are living longer and healthier lives, have the highest quality of life during their time here. The possibility of curing genetic diseases is a large one, so there is a problem with defining the boundary. Senior Umar Ahmed has difficulty with the ethics of it all. The word “eugenics” is a terrifying one. Being the study of which genes and people are superior, it’s a concept that drove Nazi Germany to murder innocent people, and a science that time after time is shown to be faulty. Sadly, as an almost inevitable result of genetic engineering, people will rate genes which define the individuality of people as inferior or superior, giving rise to eugenics once again. So He’s research, although not very problematic yet, could give rise to an age-old evil. Jasmine Varghese agrees with Slife in the power of CRISPR/CAS9 as a medical tool. Yet, she also has some problems with the boundaries of what would constitute as “eugenics” or be considered unethical. After all, curing HIV, one of humanity’s most terrifying incurable viruses, is an alluring prospect. If genetic engineering is a way to solve an incurable disease, then we should take advantage of it since there may not exist a medication which can cure it. Perhaps using this powerful technology with rules in place could help us as a species survive better and grow larger, but there need to be set barriers. However, ethically, eugenics isn’t the only problem. Such research could cause problems in babies and people which would lead them to live short and terrible lives. Senior Christopher Holly, another one of Slife’s AP Biology students, has this view. “It’s not okay to design a baby’s looks such as height because tampering with DNA can be dangerous, and unless the baby is in danger unless the embryo undergoes genetic changes, a risk like that isn’t worth it,” Holly said. Jiankui’s research is insignificant in comparison to the debate his work kindled. His research is the first of many, and there are many questions we need to address before large-scale, funded research on the topic is introduced.